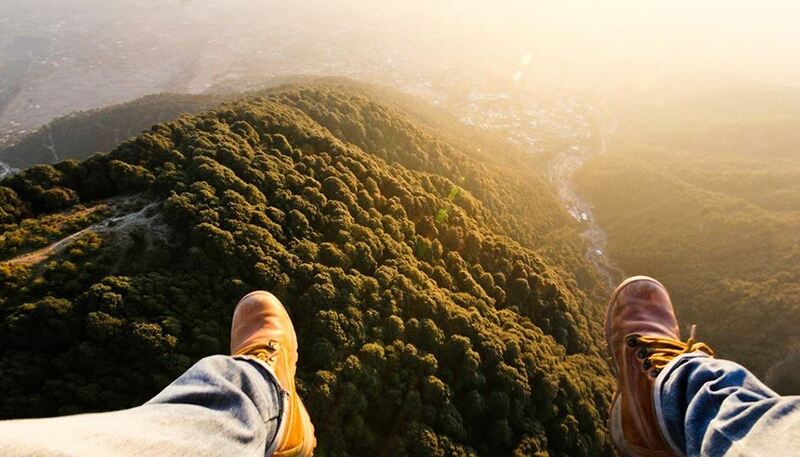 Paragliding in Bir and Billing. Travel Bir Billing welcomes all the visitors to Bir and Billing, Himachal. We wish you a very happy holidays and hope that this visit to Bir and Billing will make your ways for many more visit to Bir-Billing in future. We are an adventure sports company registered with HP Tourism, Dharamshala. With a vision to develop tourism and related activities in Bir and Billing. Short Flying from Bir and Billing. Duration of Fligh:10 to 20 minutes. Flight Route:Billing To Landing Straight Way. It is very simple ride and having little thrill. Medium Flying From Bir and Billing. Duration of Flight: 25 to 35 minutes. Long Flying From Bir and Billing. Duration of Flight:35 to One Hour. Bir is situated approximately 65 km southeast of Dharamshala at a distance of two to three hours by road. It is 14 km south of Billing, which lies on the way to the Thamsar Pass leading to Bara Bhangal. Geologically, Bir and Billing is situated in the Joginder Nagar Valley, Dhauladhar Range of the foothills of the Indian Himalayas. Road access to Bir and Billing is from National Highway 20 , approximately way between Baijnath and Jogindernagar. Paragliding (Tandem flights) during Paragliding World Cup is not possible for tourist , but so many option to experience the event at Bir and Billing rather than Paragliding. Trekking to Gundha Mountains and village (semi tribal village at 12 kms from Billing), trekking to Hanuman garh at 3400 mt. which is 10 km. return trek from Billing. Hanuman garh at the topmost point of the valley and have view of whole mountain range around and view of the whole kangra valley in clear day. Temple of lord Hanumana seems blessing living being from top. Bir and Billing valley provide us so many spots for Yoga and meditation camping with experienced yoga guide. Mountain biking in Bir is another adventure experience with roads less travelled. Barot valley and other nearby small villages around is providing mountain biking experience with camping. Before planning any trip to Bir and Billing, need to check acc-weather for weather condition . Normally Weather forecast of Bir-Billing Paragliding at Bir-Billing is all year around except the monsoon time which is between Mid July to 1st week of September. Paragliding at Bir-Billing is for 10 months in year from September to 1st first week of July. Travelling to Billing is always a different experience every time to visit here. Monsoon is high time in July and August but trekking during the time with full gears provide us a great experience of Himalayas, Trekking around is always encounter with local villagers, the shepherds with flocks and green mountains all around. Lot of stay options here like guests houses at Bir and Billing, Home stays at Bir, Camping at Bir-Billing and the Hotels at Bir available on genuine rates, but need to pre-book as the tourist movement here is uncertain all around the year. Bir-Billing is easily accessible from Delhi and Chandigarh, Bir-Billing is 270 km. from Chandigarh and 520 km. from Delhi. Regular Volvo buses and ordinary buses from Delhi and Chandigarh to Baijnath (Baijnath is 12 kms from Bir). Palampur is favourable place among tourist for stay who visit Bir, Palmpur is at 45 mins drive from Bir-Billing. Palampur is small hill station famous for tea gardens and for leisure trips with family and 30 kms from Dharamshala. Team Bir Billing is the contact for local arrangements, Contact our team for Bir-Billing arrangements for any type of services. We are committed to provide safe and best Services at Bir-Billing.